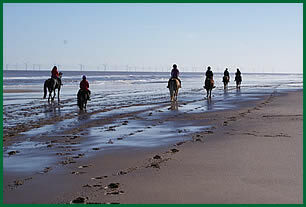 Field Farm | Horse Holidays | Field Farm, Mumby - Beach Riding with your Horse. 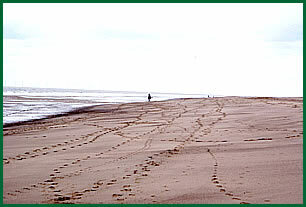 Holiday by the beach. In addition to 2 or more days holidays at Field Farm we also welcome day visitors. 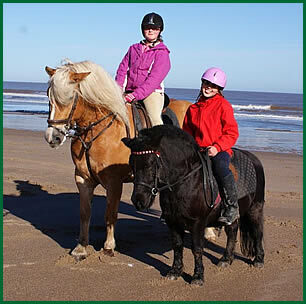 This can either be as individual smaller groups or as larger riding club / pony club groups. 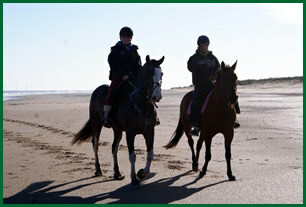 We are able to provide a beach ride guide if required. 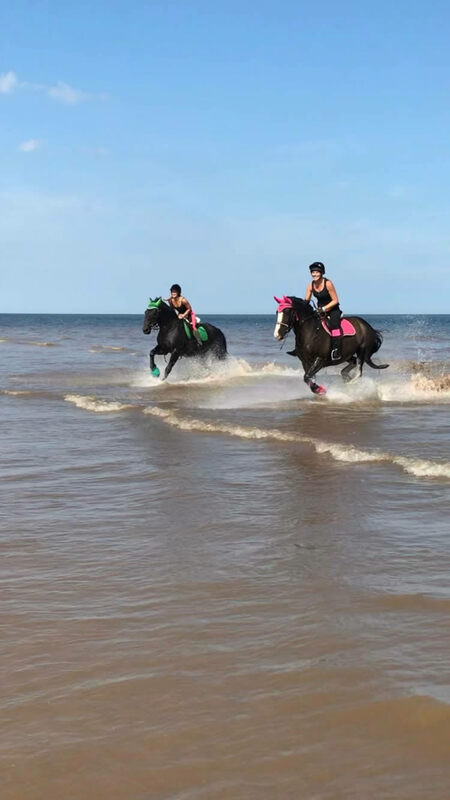 Day visitors are welcome to use all the equestrian facilities including, cross country course, indoor and outdoor schools, showjumping paddock and beach access via a green lane at the end of our drive. There's a wash down area for horses and tack after the ride and a paddock can be made available if required. 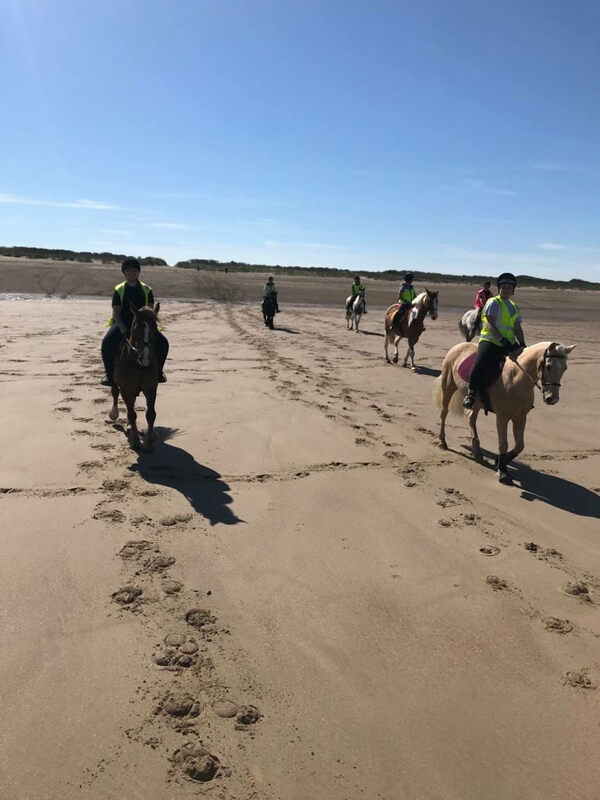 In addition to safe secure parking whilst you are off riding the benefit of using Field Farm as a base for your day rather than risking a car park is that you can arrive at your leisure, incorporate a number of activities over the day and get some time to relax before and after your ride whilst your horse can relax in a paddock. Typical cost of a day visit is £25.00. For an additional £8.50 per person we are also able to provide a catered option which includes a hot bacon or sausage sandwich with tea, coffee, juice on arrival and homemade cake with tea, coffee, juice mid afternoon. 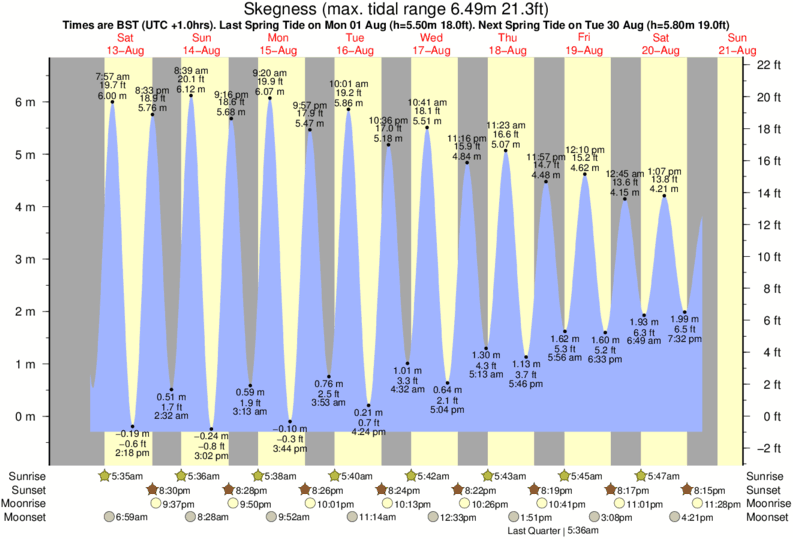 As you can perhaps imagine this is a popular option with day visitors. Secure parking for horse boxes, lorries and cars. No hefty car parking 'pay and display' fees. Opportunity to take time and relax before and after the ride. Paddock for your horse before / after your ride.